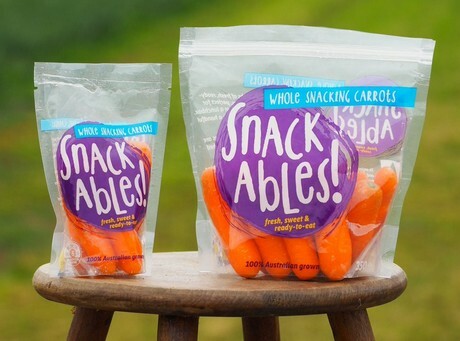 Tasmanian vegetable grower and producer Harvest Moon says it is struggling to keep up with demand for its Snackables packaged carrots and is exploring other growing opportunities to feed the hungry snacking market. The carrots were bred from Dutch genetics at the request of Harris Farm Markets in Sydney. The product is also being sold in other independent grocers such as Hill St in Tasmania. “Harris Farm Markets just love Tasmanian produce and a back to school promotion in Sydney saw demand increase to the point we are struggling to keep up,” Kable said. Harvest Moon is now looking to grow other “snackable’ vegetables such as purpose-bred beans and to produce dips to accompany them.